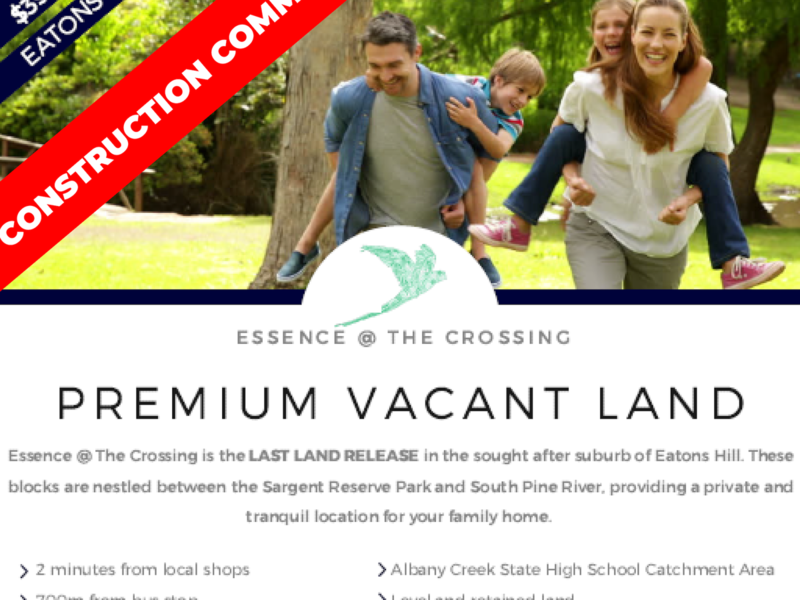 Expressions of Interest are now open for The Crossing Land Estate arguably the last large land release in the sought after Eatons Hill. 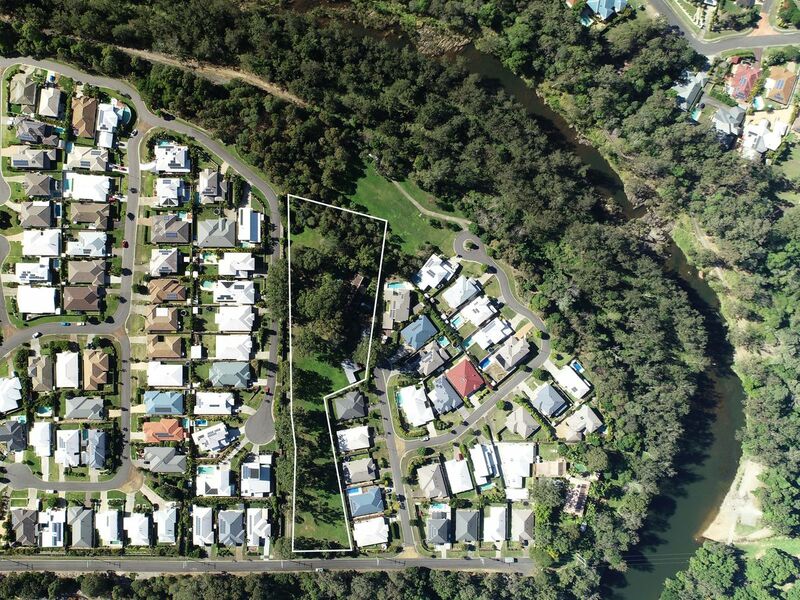 Blocks are ranging in size from 410m2 up to 675m2 with conventional depths and frontages which will cater for a broad range of house designs. 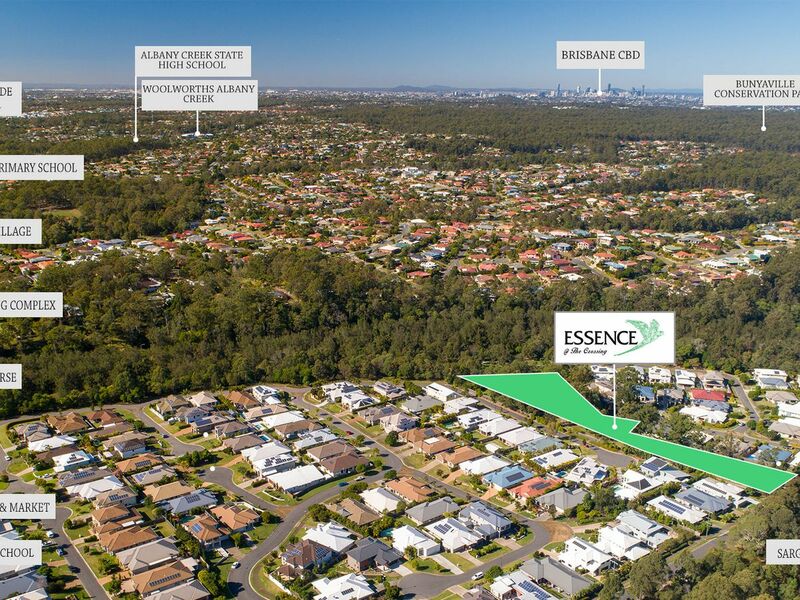 Land is gently sloping from Bunya Crossing Road descending down to dedicated bushland reserve & walking tracks with only 120m of parkland from the edge of the estate separating the South Pine River also known as Bunya Crossing a popular swimming spot for local residents. 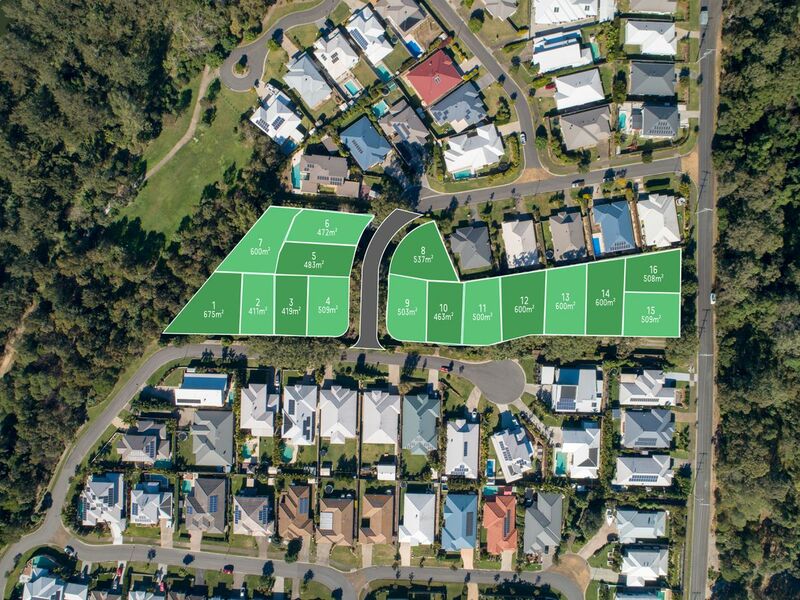 Transport is available at the Queen Elizabeth Dr bus interchange via Brisbane City Council bus services into the CBD and many other locations. 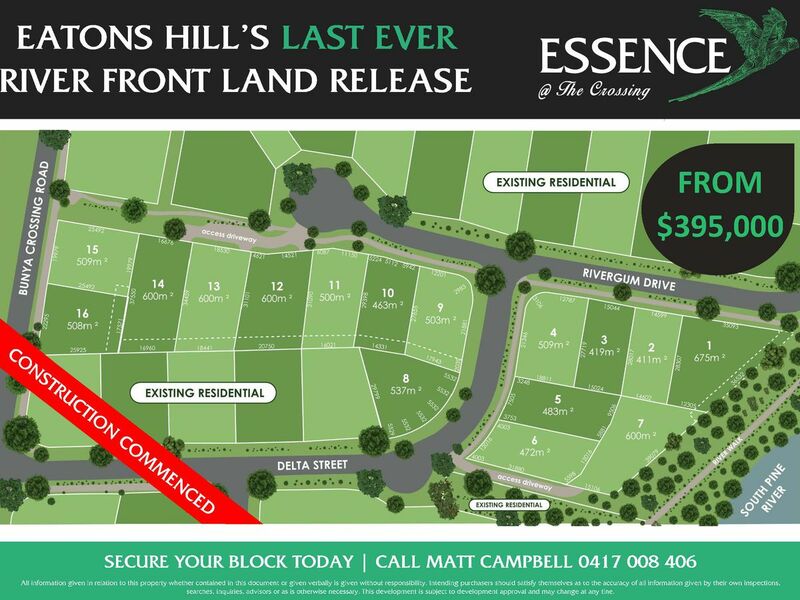 This is a great opportunity to secure your block today and build your dream home. ALL PHOTOS AND DIAGRAMS FOR ILLUSTRATION PURPOSES ONLY, BOUNDARIES ARE INDICITAVE.